In 2009, kinesiology tape leaped from the offices of a few forward thinking chiropractors and athletic trainers into the sports bags and first aid kits of people across the nation. Once the domain of trained clinicians, kinesiology taping is now being done in schools, homes and on the sidelines of virtually every level of every sport in existence. This has created a new need for kinesiology taping education. Without at least a basic knowledge of the principles of kinesiology taping, it is difficult to apply the tape effectively. There are several ways to learn how to apply kinesiology tape – instruction manuals, instructional DVDs, and online videos. My last post provided resources for learning to apply precut kinesiology tape. This post will focus on instructions for applying kinesiology tape from rolls, such as Kinesio Tape, RockTape or SpiderTape. Applying tape from rolls requires a significantly higher level of both knowledge and skill. Creating and cutting an application for each specific situation is often more complex than actually applying the tape. Fortunately, there are a number of resources available, providing instructions for every level of understanding. 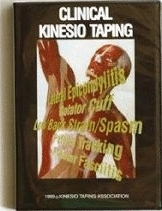 The following resources have been developed by the manufacturer of Kinesio Tex Tape, but the application principles are identical for either SpiderTape or Rock Tape. 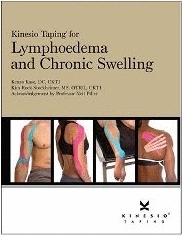 If you are a home user wanting to learn how to apply kinesio tape, this manual is for you. 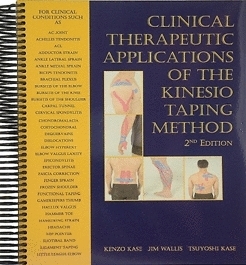 The original Kinesio Taping manual written in 1996, the taping instructions are as pertinent today as when it was written. it was developed for the general population and requires very little knowledge of anatomy or medical terminology. It provides easy-to-follow instructions for taping a variety of common conditions, including low back pain, flat feet, neck pain, shoulder pain, carpal tunnel syndrome and charley horse. 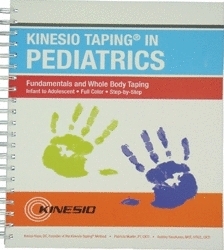 Includes step-by-step photographs depicting the various stages of taping for each condition. (1996) 6″x8″ Softcover, 132 pages, black & white photographs, $39.99. 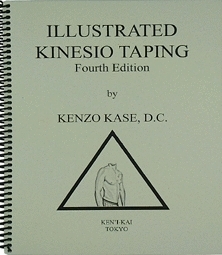 Illustrated Kinesio Taping, 4th Edition, by Kenzo Kase, D.C. Written by the father of Kinesio Taping himself, this manual was developed for individuals with a moderate understanding of anatomy and medical terminology. 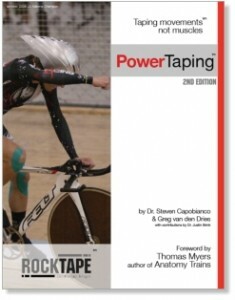 It covers the essentials of taping for a wide variety of injuries and health conditions. This step-by-step approach to the Kinesio® Taping Method includes very clear black and white illustrations indicating exactly how and where to apply Kinesio® Tex Tape. A 7-page introduction explains Kinesio Tape theory and basic techniques. (Orig. 2003, Updated 2005).8.5″ x 11″ Softcover, Spiral Bound, 107 pages, $39.99. The makers of RockTape have created an entire series of short videos, demonstrating simple application techniques for a variety of injuries and body parts. With their informal style and complete absense of medical terminology, these videos are the perfect way for beginning kinesiology tapers to learn some basic application techniques. Watch RockTape videos on YouTube.